Lars joined Neo Technology early 2011. He has an impressive track record of entrepreneurial leadership in the Big Data, Cloud/SaaS, and Open Source arena, with both early stage technology firms and public companies. Lars was the founding VP of Worldwide Sales at SugarCRM where he ramped the customer base to more than 4000 organizations, and established the company as a market leader. He has been the SVP of Business Development and then SVP of Worldwide Sales at Pentaho (an open source Business Intelligence firm), where he orchestrated a company turn-around with 100%+ annual booking growth and entry into the Big Data domain, as a result. Earlier in the career, Lars had various roles at Cambridge Technology Partners (CTP), including the Director of the Worldwide Business Intelligence & Analytics practice. Lars also spent time at Novell in a number of senior executive positions, following an acquisition of CTP. Lars has a M.Sc. Degree in Mechanical Engineering from the Royal Institute of Technology in Stockholm & Munich, a B.Sc. in Business Administration from the Stockholm University School of Business, and he has completed an Executive Education Program at Harvard Business School. 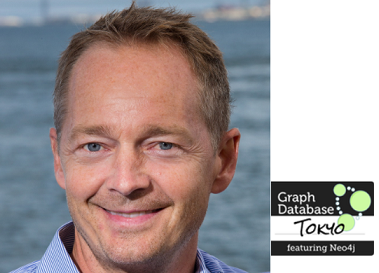 takabes00 published Neo4j 説明会(NeoTechnology社 COO Lars Nordwall氏 来日講演).